Landscaping is more than just what's outside the front door. Indoor landscaping can improve your work environment while making your business or commercial space a more welcoming and attractive space. Ricky Tyler Landscapes offers professional, experienced commercial or business indoor landscaping services in Hertfordshire and across the UK. Indoor landscaping can be anything from a single planter in a reception area or a large floral and greenery display in a covered courtyard. 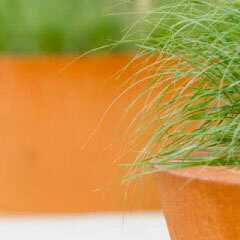 It can be a mix of smaller plants or a large scale design similar to what you might find outside. Businesses find that indoor landscaping has countless benefits, including clean air, a better efficiency, and noise reduction. 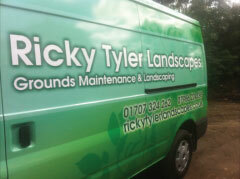 How can Ricky Tyler Landscapes help? Ricky Tyler Landscapes can help with every aspect of your indoor landscapes. Our landscape managers can help with the design and installation of an indoor landscape. We can help you determine your needs and preferences to develop an indoor landscape that works perfectly for your business or commercial space. After installation, or for clients with already installed indoor landscapes, we can help with the regular maintenance required to keep it looking its best. Your indoor plants need to be cared for properly, with the right amount of water. A large indoor landscaping display may need upkeep such as cleaning, watering, and replanting damaged plants. With a proven track record and lots of experience, Ricky Tyler Landscapes offers every commercial and business client the service they need at a price they love. Your indoor landscaping influences a potential customer's first impression of your business. Our services can help ensure that first impression is a great one. From small office plants to larger indoor landscaping, we can help produce and maintain a beautiful workspace for you and your visitors. To find out more about our indoor landscaping services, get in touch today! Ricky Tyler Landscapes can provide gardening and grounds maintenance services including Indoor landscapes covering London, Essex, Hertfordshire, Northampton, Buckinginghamshire & Bedfordshire .